Separate the eggs, putting the whites aside. Add buttermilk, milk and oil to the yolks. Beat together. Combine flour, baking powder and seasonings in another bowl, then fold into the egg/buttermilk mixture. Whip the egg whites into soft peaks and fold into the batter. Add Parmesan last and fold to gently mix. 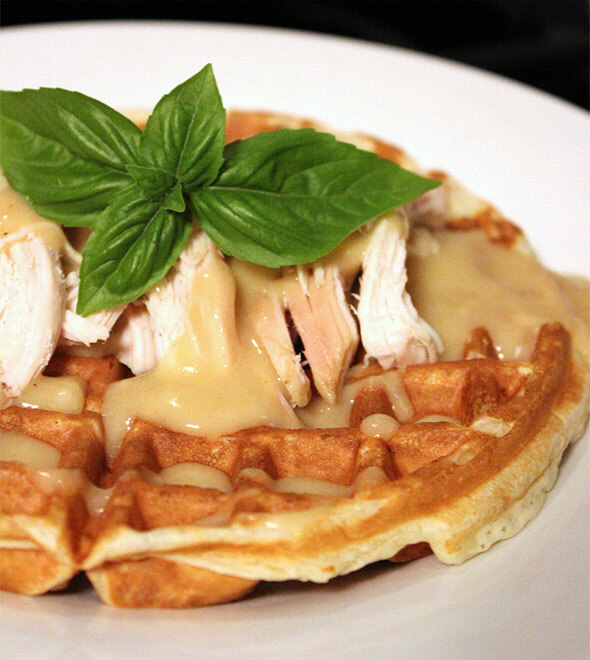 Pour waffle batter into the hot waffle iron; cook until golden brown. 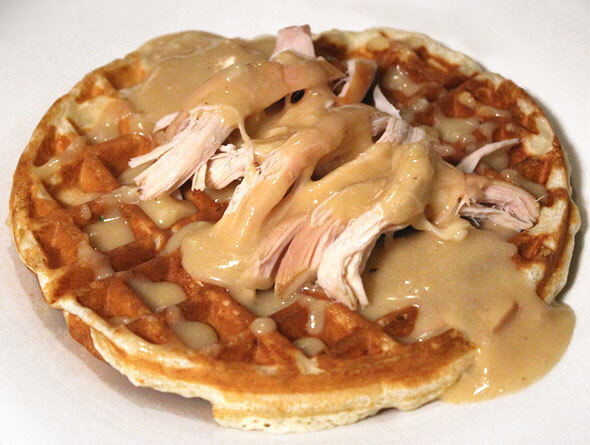 This is great topped with chicken and brown gravy or with sausage and white gravy. Mr Breakfast would like to thank HollywoodBacon for this recipe. Recipe number 2605. Submitted 8/19/2009.